‘Gotham’: New Teaser Shows Cameron Monaghan As a Fully Transformed Joker!! Check It Out!! | Welcome to Moviz Ark! ‘Gotham’: New Teaser Shows Cameron Monaghan As a Fully Transformed Joker!! Check It Out!! Monaghan has only technically been playing Batman’s greatest nemesis over Gotham’s history; officially, he’s been portraying Jerome and Jeremiah Valeska, two twins who come complete with all the green-haired, high-pitched-laughing trappings of the Joker but not the name. (And even here, no one calls him the Joker…) One time Jerome lost his face and then sewed it back on. Gotham is flawless art. In keeping with Gotham‘s extremely on-brand visual palette, Monaghan’s full Joker is at once ridiculous, hilarious, and incredible comic-book-y beautiful, like the time Shane West‘s Bane appeared looking like a post-apocalyptic Keurig machine with legs. 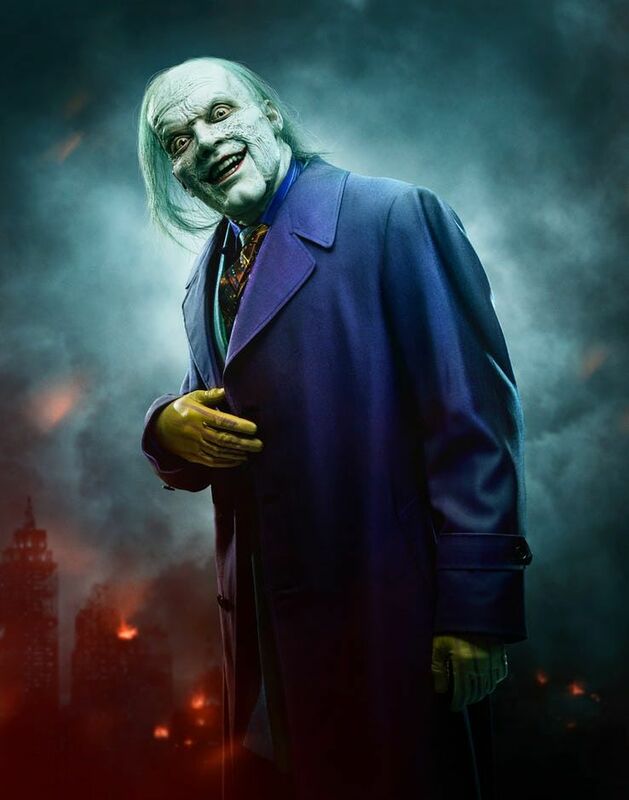 I genuinely, unironically love the look of the Joker here; it’s disturbing, like the monster from the Jeepers Creepers movie had an unholy child with Jack Nicholson‘s Joker from Tim Burton‘s Batman. I love it. I will miss this sweet, sweet bit of Batman ridiculousness when it ziplines off into the sunset. Now give us Robin Lord Taylor in the Penguin fat suit you absolute cowards. Check out the video below, followed by the character poster released alongside the teaser. Gotham—which also stars Ben McKenzie, Donal Logue, Morena Baccarin, Sean Pertwee, Robin Lord Taylor, Camren Bicondova, and Cory Michael Smith—airs its finale episode on Thursday, April 25. ← ‘Bond 25’: First Set Photos Feature a Masked Villain!! Check It Out! !